The first major look at the renowned industrial designer and architect, who helped to shape the look of American modernism from the 1920s through the early 1950s. For German-born Kem Weber (18891963), design was not about finding a new expression; it was about responding to "structural, economic, and social requirements . . . characteristic of our daily routine of living." He sought to ensure that each design he produced--whether a piece of furniture or a building or an interior--was an improvement that responded to modern needs and modern life. 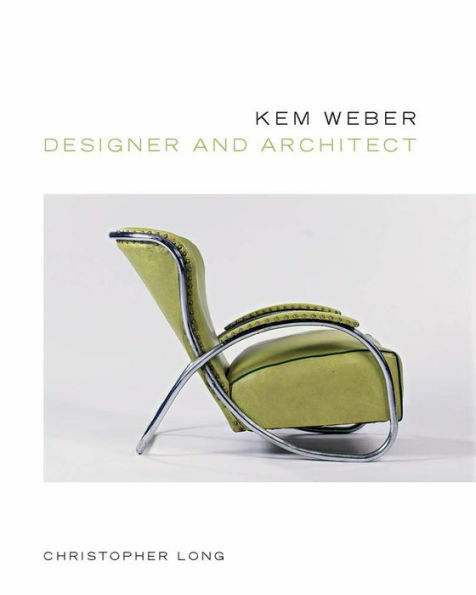 Weber was a leading figure of modernism on the West Coast from the 1920s through the early 1950s, and his work greatly influenced the California style of the time. His most iconic designs were his Bentlock line, the Air Line chair, the interiors for the Bixby House, and his tubular-steel furniture for Lloyd.